Betty Friedan wrote the Fountain of Age back in 1993. Unlike the Feminine Mystique, it was not a huge best seller - maybe because it was about 'old people' like us. .
. Friedan does give examples - so many examples of what towns, neighborhoods are doing to better meet needs and support LIFE after 50. I was particularly impressed by the number of communities and organizations who have trained persons our age to be 'listeners and helpers'. Such programs have not only reduced depression and isolation but led to 'new doors opening' for those enrolled - both helpers and helpees. Also some communities have made a real shift in their health care for those over age 60. I do not know about your country but here in the United States, health care is all about CURE. And if you have something chronic and not 'curable' there is not a lot of help. But for many elders chronic non-life threatening health issues are what make our lives harder. Friedan shows that a shift in health care so as to address 'successful living with chronic conditions' - really serves elders better. (I found myself taking down the names of some of the organizations and cities she mentions- thinking I want to learn more. And I want to put decision makers in touch with some of these programs.) . Also her chapters on LIVING ARRANGEMENTS are the best I have seen. Most of the alternatives can be considered by almost anyone. The book is worth reading just for the sections about where we choose to live. After all everyone of us will have changing needs over our years. .
To me, it is a book worth reading for discovering ideas already working in some places that might be useful in our own communities. I wish I could get every Office of the Aging and every Mayor or Town Supervisor etc. to read it. My red Schwinn bicycle was the joy of my youth. I have often longed to ride again but balance is a real issue. (We lose 1% of our balance every year after 35, - why so many 85 year olds have falls...and then too my balance has been off ever since a head injury in an auto accident some years back. . But my riding problem is solved!! 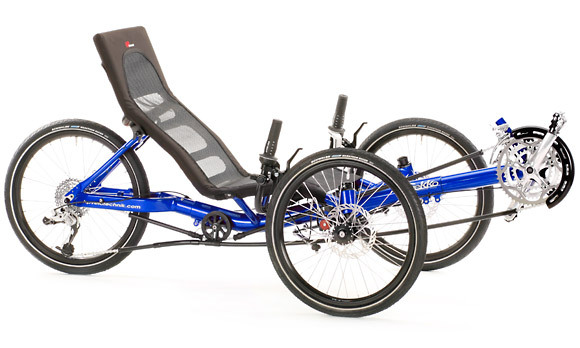 I Started researching RECUMBENT trikes. (These are popular with 'sport folks' and are not just 'adult tricycles'.) last week I drove to Alfred, New York to the Bicycle Man Shop where I found more trikes than anywhere else in the North East USA. I had told them I was coming, that I am 6' tall, have a bit of post polio etc. so they could 'think ahead' about what might be good. Can you tell I am thrilled? And I tell you about this to encourage you to 'do it now'. If you have a long held dream, now is the time. Why wait? Elderhood is about many things but one that few writers talk about is that it is a time to fulfill some deferred dreams. .
Have you secretly longed to paint? To start a business? To travel to the Arctic? To learn fly fishing? To write a play, a book, some poems? Please NOW IS THE TIME. If you feel you have too many obstacles for meeting your dreams, do contact me. Maybe we can 'think our way' through the problem. .
And as always be well....be happy. It is time.